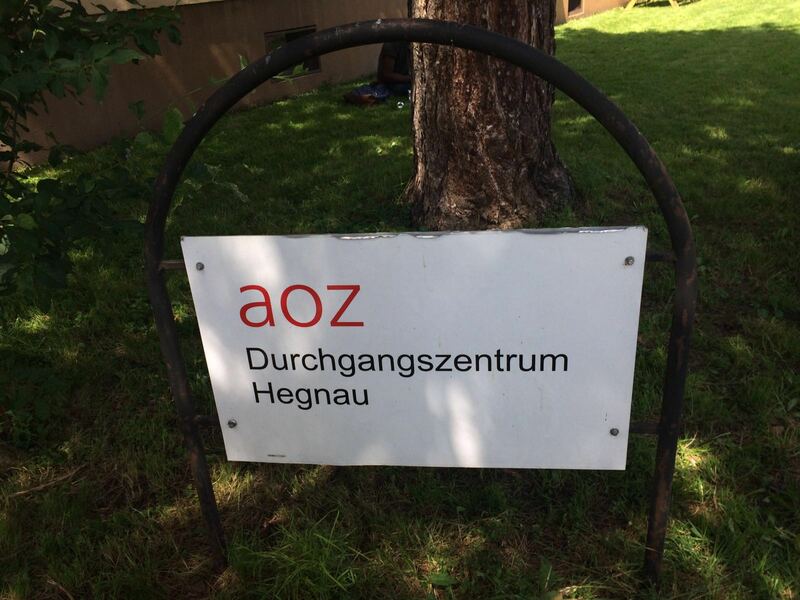 The AOZ (Fachorganisation in Migrations – und Intergratunsbereich) is a refugee transit center that opened in 1991 and can house up to 215 people. As of now the number of refugees that are housed is low (around 75 as of July 6th). Men, women, children, and families come here to gain better opportunities. The majority of refugees come from Afghanistan (2,041 out of 8,315) and other countries (2,023 out of 8,315). The facility offers schooling for children and adults to learn German, along with a clinic, a computer room, an on-site clothing store and many different outdoor and indoor activities for all ages. The average time of stay for refugees at AOZ is two months, but there is no set date for a person to leave. Residents have a three bedroom apartment and a maximum of 12 people can occupy a room. It has been 14 days filled with learning, cultural exchange, and fun. 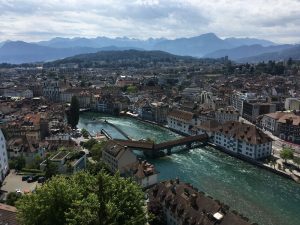 We started our adventures on Monday, July 4th by meeting each other, taking a walking tour of Zurich, and enjoying a welcome dinner. 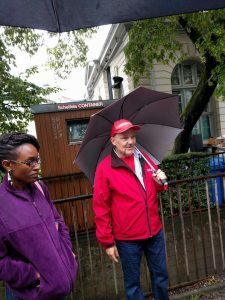 Since that time, we have visited a drop in center, met with the police, learned about asylum seekers, heard the voice of a person experiencing homelessness and walked his neighborhood, hung out at a older adult and youth center, and explored a youth detention center. Students have shared their knowledge and experiences with the Swiss and US social service systems. 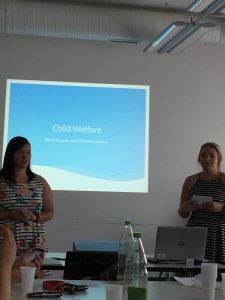 We have compared and contrasted how social work services are provided, what it means to be a person in need in each country, and the roles of social workers. 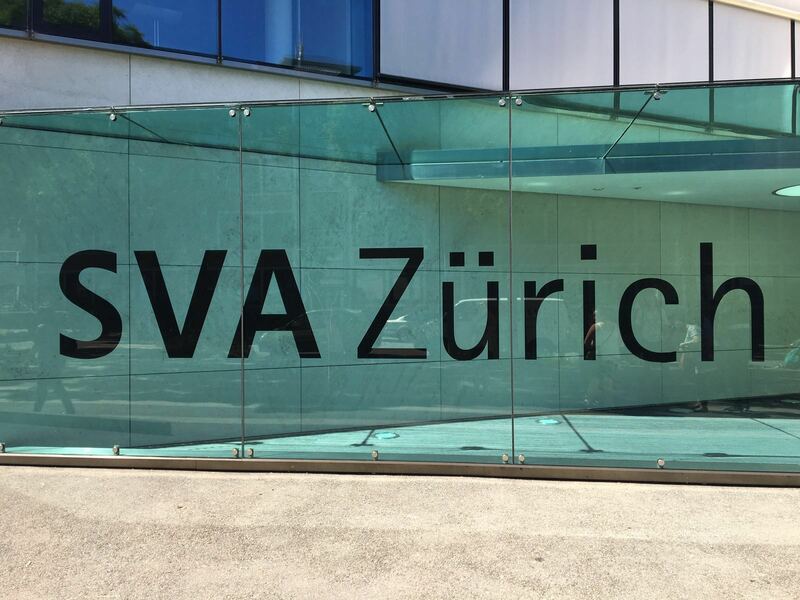 Today was another busy day of learning about social welfare agencies in Zurich. 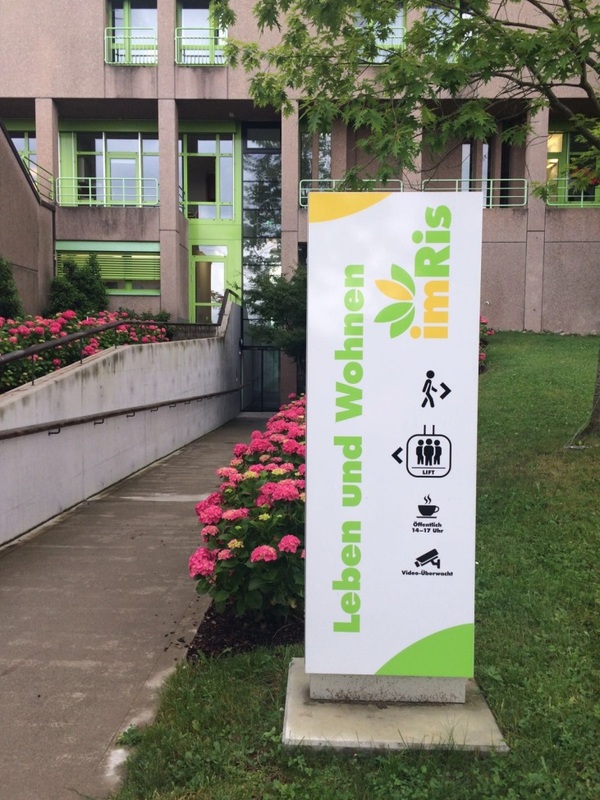 We started our journey bright and early at the Public Juvenile Prosecution Office in the Canton of St. Gallen. Here we learned about the Juvenile Court System in Switzerland through a presentation by Catherine. The Juvenile Criminal Law Act of Switzerland seeks to protect teenagers by hiding their criminal charges, educate them to prevent later offenses, reintegrate the offender into society, and prevent stigmatization of the youth based on the offense committed when they were Young. A social worker will then create an assessment that they believe will be best reintegrate the teenager back into society. This system differs vastly from the United States. Here, a child can have a sentence for their crime, but they have measures, which are similar to goals, that they work to achieve to reduce or even eliminate their sentence. These goals are either ambulatory measures or institutional measures. Unlike in the United States where we “shouldn’t do the crime if we can’t do the time,” a social worker looks at the environment, behavior, and many other factors to fully understand why the youth may have committed that crime. We started the day off at the community project of Pro Senectute, known as Rellsten-Zopf-Oberleimbach, where we learned about elderly integration and how they integrate with the community around them. Ruedi and Soraja mentioned some of the opportunities they provide for the residents that participate in the program – knitting classes, language classes, gardening, etc. The agency we visited works with two different generations, the young and the old. In this agency, their groups consist of 25 to 30 members regularly; ages ranging from 50 to 90. In order to get the word out about the project, they provide newsletters every three months for households 55 or older. This program is free and they don’t have to live in the district. 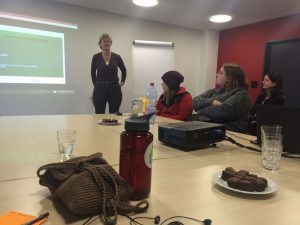 Today we had presentations and discussed about conceptions and reasons of poverty, about social welfare in the job market and about other services to the poor in the US and in Switzerland. In the afternoon we took a guided tour of the city with a man named Hanspeter, who works for an organization called Surprise. Surprise is an organization that writes and sells a street paper and works with homeless folks to get them reintegrated into society. Hanspeter lost his home and his job in Information Technology due to a drinking problem. He has worked with the organization for two years now, and has been able to turn his life around. He has a room of his own, and has given upwards of four hundred tours. 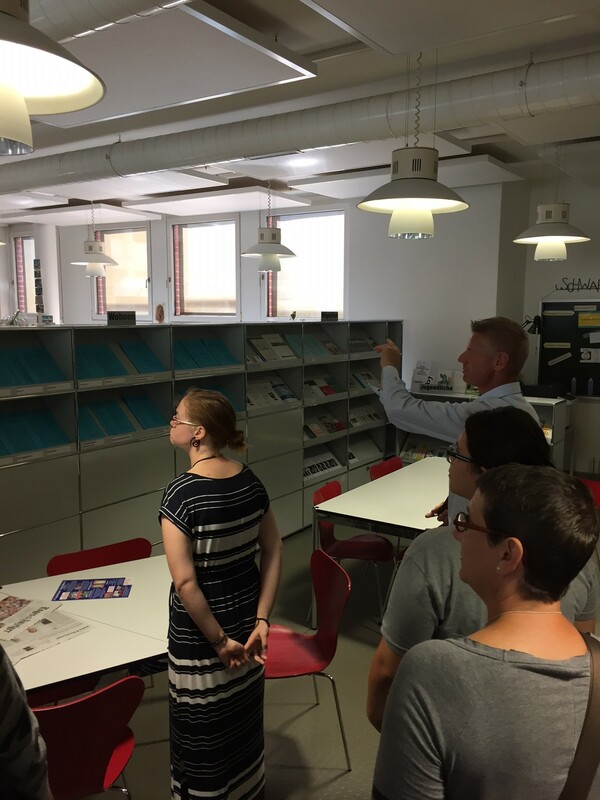 We started the week by visiting the Social Services for the City of Zurich agency. After meeting Raphael Gägauf, a team leader and supervisor of the agency, we learned about the child welfare in Switzerland. The presentation covered the services that this agency provides for families in need. Some of these services include: mother and father advice, financial aid, educational and family counseling, managing income and wealth, and many others. 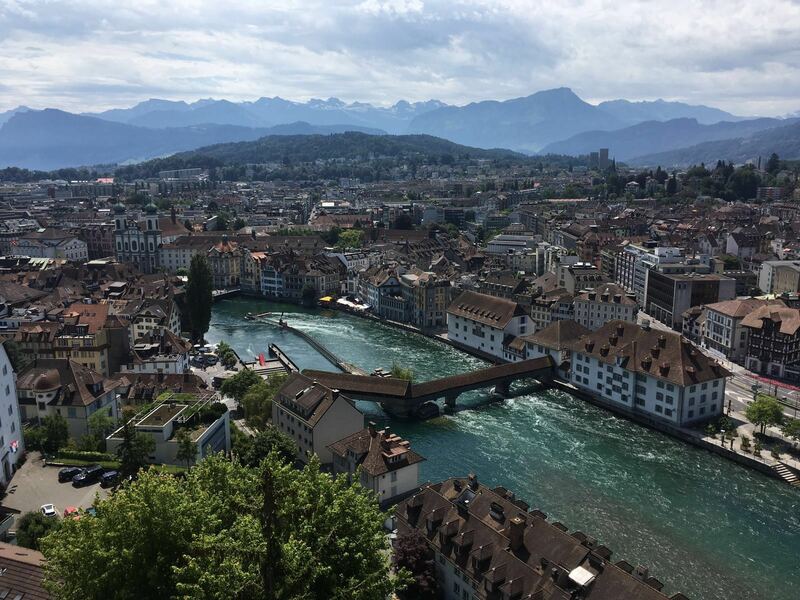 Today we visited the drop-in center for individuals in Lucerne who get heroin as a necessary medical intervention to keep them from over dosing and dying. 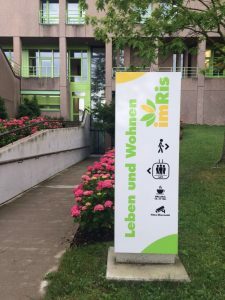 In 1991, as a continued response to the drug problem occurring in public spaces, Switzerland added a 4th pillar, harm reduction, to their strategies for addressing drug use (the other pillars are prevention, intervention, and law enforcement). In the morning our group visited the institution for social insurances (SVA), office of invalidity insurance (IV-Stelle). The institute provides assistance to persons who can no longer work due to disability either physical or mental health. The agency is in the first pillar of the three pillar concept. It was interesting that this agency provides cash assistance, pensions, daily benefits, and compensation to those who need it, such as if the person becomes disabled or unable to perform the duties of a particular job. At first, I was understanding that the benefits began immediately when it was needed, but upon further explanation I learned that it took up to a year for the application process, and that in some cases longer. One of the issues that we as American students found as really different was the fact that people can occupy a house that is not theirs. The government does not deprive them of things like water or electricity. 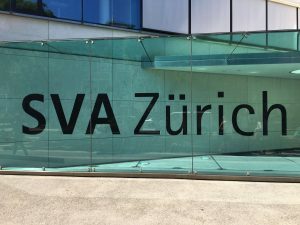 Although this may seem to be inappropriate, it also provides us with a different perspective where the government and the people of Switzerland promote giving people a place to stay if a building is empty. In the United States, there is a big issue with people being homeless and there are also tons of buildings that are not occupied. However, the American society does not promote unwanted people occupying buildings especially without the permission of the owners. It is called trespassing and people who trespass get exposed to being shot or being reported to the police. There are some government programs that provide some type of housing or assistance to homeless people. There are also some non-governmental organizations that also help support people who are homeless. The issue is that irrespective of the assistance, there are still several people who are homeless.